In the past, a small, locally owned business could get by without a mobile-optimized website, which is a website that’s customized for the mobile viewing experience. In 2009, mobile devices only accounted for .7% of all web traffic worldwide. With such a small number of people using their phones to browse the internet, mobile-optimization wasn’t a priority. Marketing dollars could be spent on improving products or enhancing customer service. Fast-forward to 2018 when 52.2% of all website traffic came from a mobile phone. Today, lots and lots of people are using their phones to browse the internet, access social media platforms, and research information through search engines, and the number of mobile users continues to rise. What does this mean for local business owners? It’s no longer enough to just have a website anymore. Now, websites need to be able to adjust to different devices and their different screen sizes, offering users a seamless experience no matter where they choose to browse your website. If you don’t think mobile responsive websites are that big of a deal, consider this: 57% of users say they won’t recommend a business with a poor mobile website. Getting in front of new customers means being easily accessible online since search engines like Google and Bing are the first place customers will search for nearby products or services. And with a majority of people accessing the internet from their mobile phones, businesses can’t afford to ignore how their website will look on a much smaller device. On top of that, SearchEngineLand found that non-mobile-friendly websites were disappearing from Google’s top search results. Even if your website offered a terrible mobile experience, customers wouldn’t even be able to find it when they search for your services in the Charlotte area. Google has started implementing mobile-first indexing strategies for people browsing the internet with their phone. This means that Google will start basing their index off of the mobile version of your website first. Websites that don’t offer a mobile-friendly experience could potentially suffer in rankings. Bottom line is that a non-mobile-friendly website can hurt your business. Aside from the most obvious reason— that mobile traffic continues to rise— there are other reasons to have a mobile-responsive website. Consider the mindset of mobile users. A person on their phone is probably in transit or browsing mode. They want information quickly that’s only a few finger taps away. Mobile screens offer a lot less real estate than a desktop, so while your content can be the same on all devices, the way it’s packaged and presented should differ and cater to the mobile mindset. To accomplish this, mobile websites require different navigation, graphic layouts, bigger fonts, and less text, all customized to browsing on a smaller screen. The variety of devices is also breaking up the consumer journey. A customer can start to register on their phone and complete the process on a desktop, or vice versa. Offering a seamless experience between different types of screens allows users to accomplish important call-to-actions, like signing up for more information filling out a quote, anytime, anywhere. Offering customers a consistent experience can lead to more conversions. A good way to inspect your website is to start by simply looking at it on a mobile device. Put yourself in the customer’s shoes and try to search for information, buy a product, or contact your company on your mobile device. Do you have to pinch or enlarge portions of the screen to read the content? 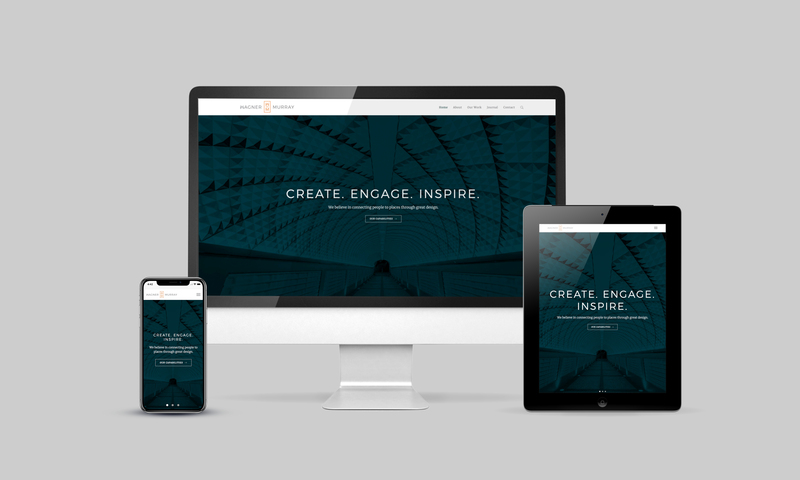 Is your website responsive to touchscreen use? Meaning, is it hard to navigate with fingers versus a mouse? Can you read the content when the phone is vertical, or do you have to turn the phone horizontally? Google is another great source that will evaluate how mobile-friendly your website is. Simply add your website to their mobile-friendly test and they will rate it for you. If you discover your website isn’t optimized for multi-screen viewing, our marketing agency can help! We can design a website that will be optimized for mobile users. We’ll review the content to make sure it’s correctly formatted and searchable by Google. We’ll look at structure and metadata, search console verification and load speed—all the things that create a positive mobile experience and increase your search rankings.